We have a high level of repeat bookings and pride ourselves on providing a friendly welcome and exceptionally clean and well maintained accommodation. There are two ground floor apartments with their own front doors, offering easy access. 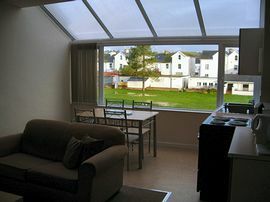 The other apartments have views of the park or the sea. 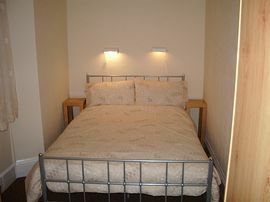 All apartments have separate bathrooms, kitchens and bedrooms, where single beds are 3 ft wide. We offer freeview and internet access. 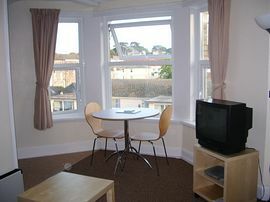 The apartments are only a few minutes level walk to the sea front and local facilities, which include a cinema, Paignton Pier, restaurants and shops. 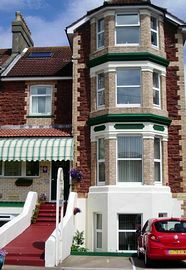 The railway and bus stations are also only a few minutes walk away, so we are ideally situated for a sight seeing or relaxing holiday in South Devon. Follow A380 signed for Torquay. On arriving at Torquay seafront turn right for Paignton. Go along Paignton seafront with the sea on your left, after passing the Apollo Cinema on your left turn right into Adelphi road and we are the fourth house on the right. You need to travel to Paignton stations. Minimum costs £120.00 to £448.00.